As we continue to standardize things here at Riv, we are now using arrangements for each song in ProPresenter. Arrangements allow us to have specific slides and orders established ahead of time for each Riv band. This will accommodate having only the needed slides and order for each weekend, which is an essential step towards adding a confidence monitor for our musicians. When we move to using a confidence monitor the band members will be able to see the current and next slide before of the congregation. Here is a great video explaining how to use arrangements in ProPresenter. From time to time there may be a network issue that causes the 3 ProPresenter computers to lose sync. Here are some simple steps to re-sync the Background and Side Screens with the Primary CG computer. 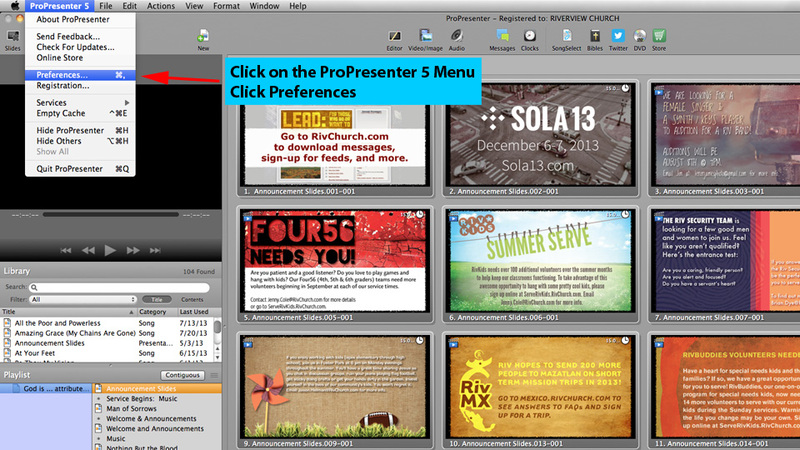 On the Primary iMac, open the preferences menu in ProPresenter. 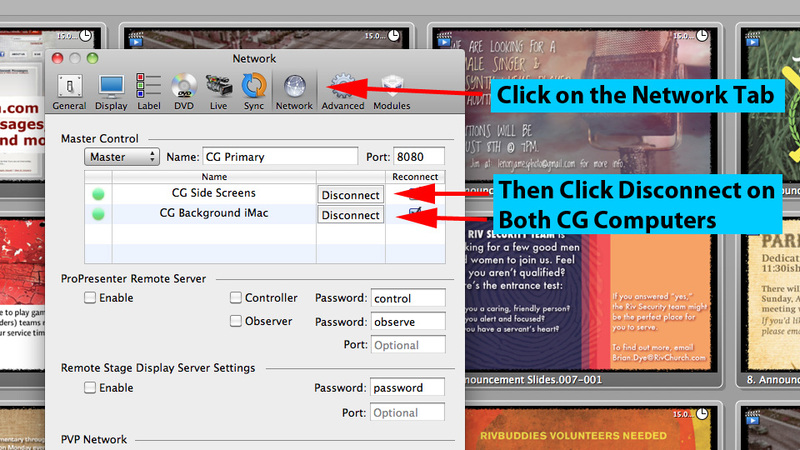 Click on the Network Tab, then click disconnect for both CG Side Screens and CG Background iMac. 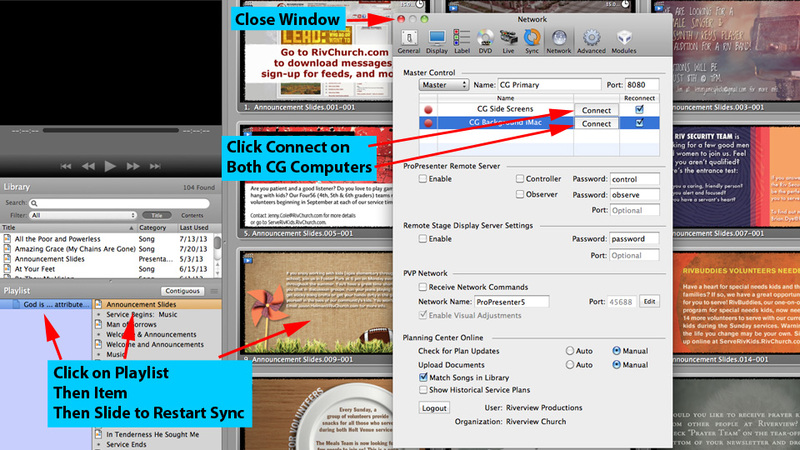 Click Connect for both CG Side Screens and CG Background iMac. Close the window. Click on the playlist in the bottom left, click the desired playlist item, then click on the desired slide. All 3 computers should now be in sync, displaying slides on the Primary, Background, and Side Screen Projectors.